Performance Research Experiment #2.2 is a full-evening, interactive performance/experiment mixing contemporary dance, circus, performance art, live music and science. 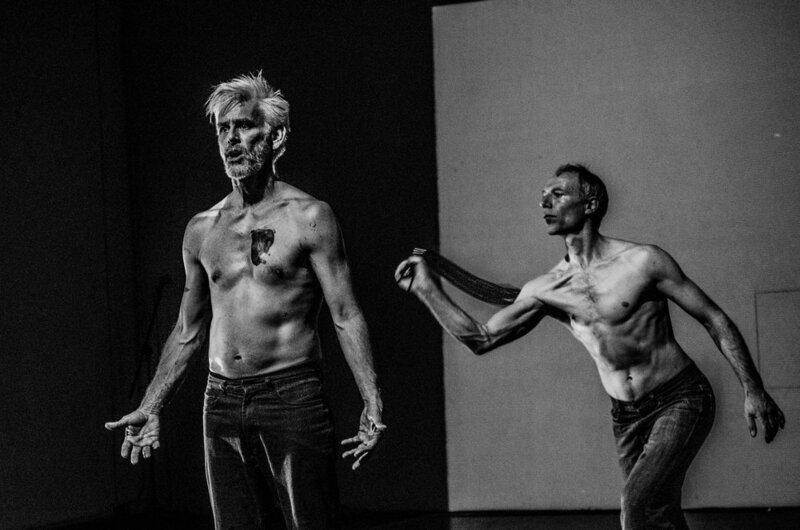 Creator/performers Jess Curtis and Jörg Müller along with French media artist Yoann Trellu, examine the relationships of live art and science to the body and culture. 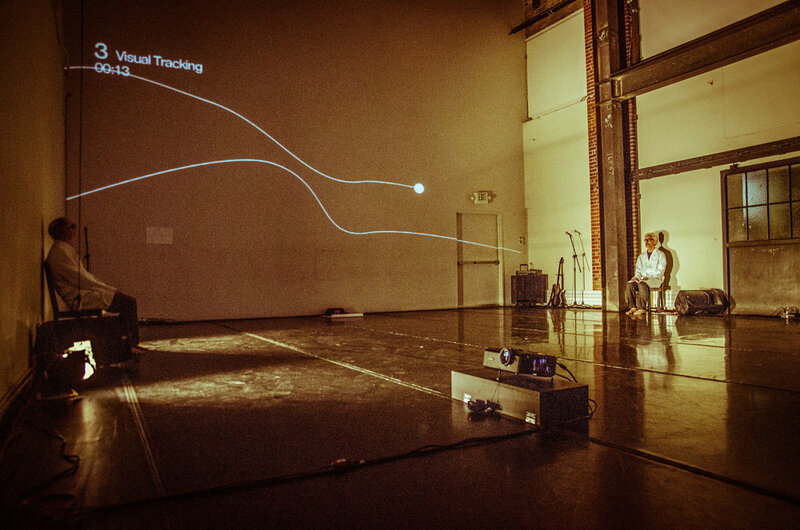 The evening is constructed of 17 performance actions that are presented while measuring and projecting data from specific physical reactions (heart rates and skin conductivity) of selected audience members into the performance. What does performance provoke in an audience? PRE #2.2 furthers the work that Curtis and Müller began in 2006 in Performance Research Experiment #1. 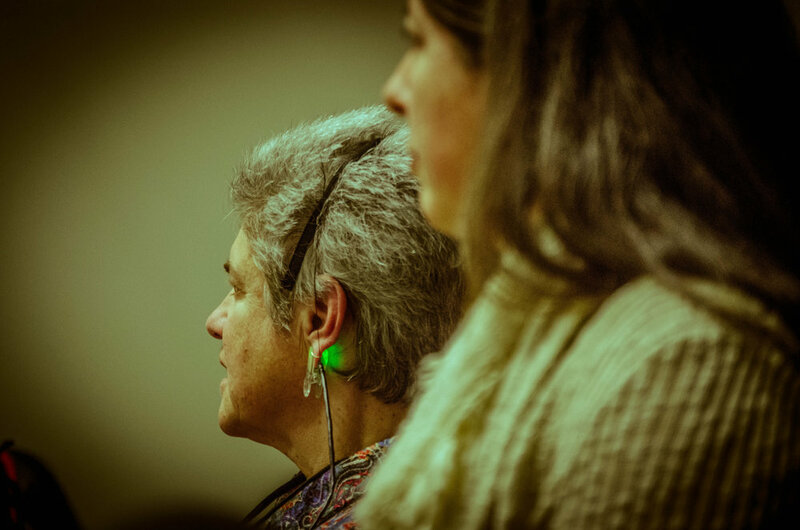 In that critically and popularly acclaimed work, audience members self-reported on their own levels of engagement with a variety of virtuosic performance events, thereby determining the length of each section of the piece. 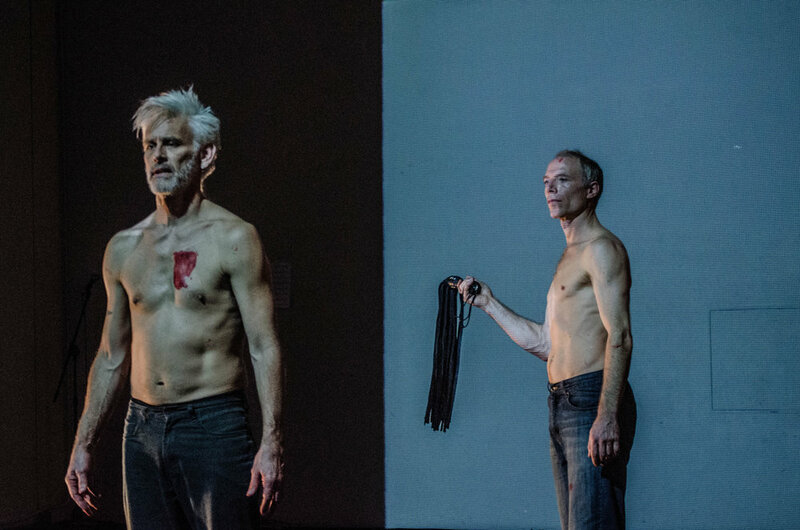 While the team’s use of a simple self-reporting survey was admittedly rudimentary (and also quite openly performed with a large dose of irony), the central fact remains that involving a direct feedback from the audience had a dynamic, consequential impact in the shaping of each performance of the work. At heart, PRE #1 was a simple but scientifically sound experiment. In PRE #2.2, Curtis and Müller further the dialog between scientific and artistic ways of knowing, intensifying their explorations in both modes, and forcing the collaboration/collision between them. How do scientific experiment and artistic work enrich, restrain, or intermingle with each other? How can the structure of a scientific experiment be used dramaturgically? What ‘knowledges’ do performing bodies have to offer to the scientific canon? How are issues of fiction and accuracy mobilized in art and science? 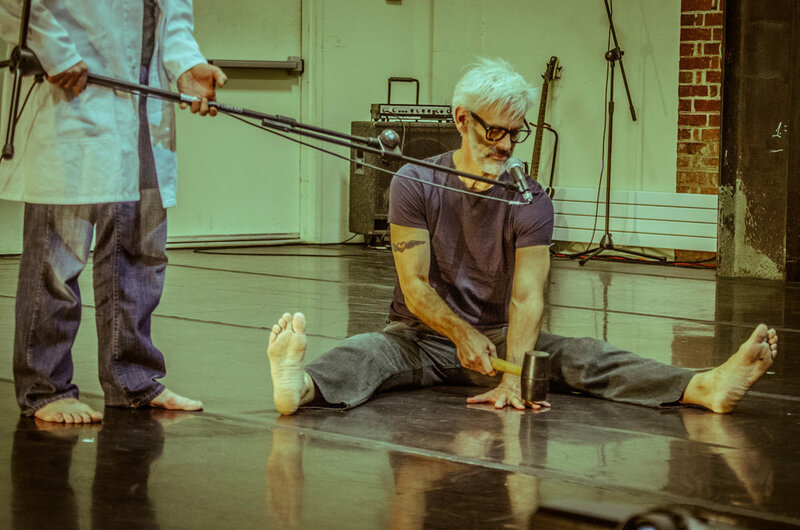 After having been developed in residencies in San Francisco and UC Davis in California, in Berlin and Stolzenhagen,Germany, the work was premiered in January of 2014 in San Francisco and is now available for touring in 2015. More intimate theaters (100 – 400 seats) and alternative, black-box type spaces are the most conducive to the presentation of the work, although the work can be customized for presentation in other types of cultural spaces such as lecture halls, laboratories and warehouses. Transport costs will include some cargo for equipment and accessories, but there are no set constructions. Standard theatrical lighting systems are adequate. Standard theatrical sound systems may require some augmentation for Sub-Bass frequencies used in the show. The show requires at least three video projectors, one of which must be which may entail rental costs for presenters, depending on their and our inventories. Yoann Trellu lives and works in Berlin as a multi-disciplinary video artist active in the fields of visual arts, video production and media programming. Since 2003 he has worked with numerous musicians, performers and directors in Europe, USA and Asia on more than 30 productions. Trellu works with the idea of graphical narration to communicate feelings, and is mainly interested in ‘moments’; brief every day events/situations. Trellu also builds “creative machines” (software) to see / experiment with things we could never imagine through the intervention of automated, randomized processes of the machine. He likes the idea of using the computer as a creative partner not just as a tool.